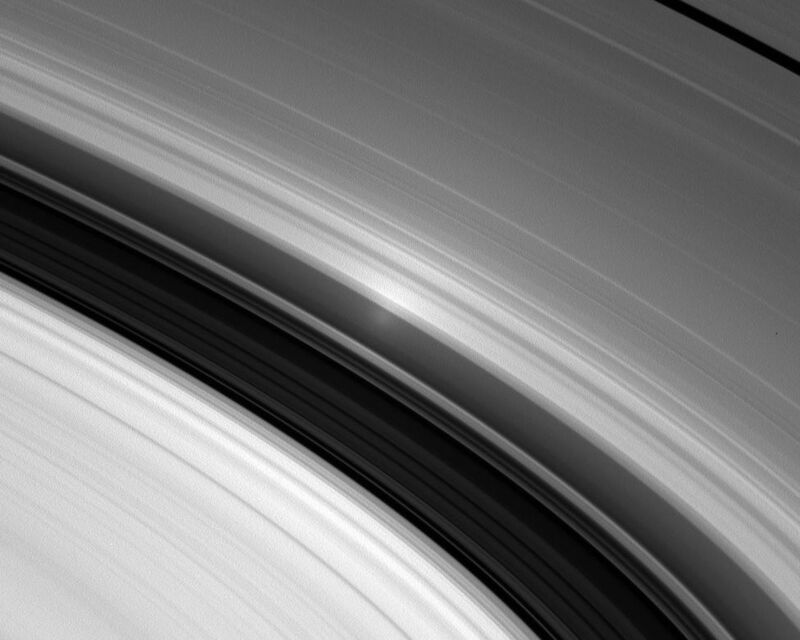 With the Sun directly behind Cassini, the spacecraft spies the opposition surge in Saturn's inner A ring. 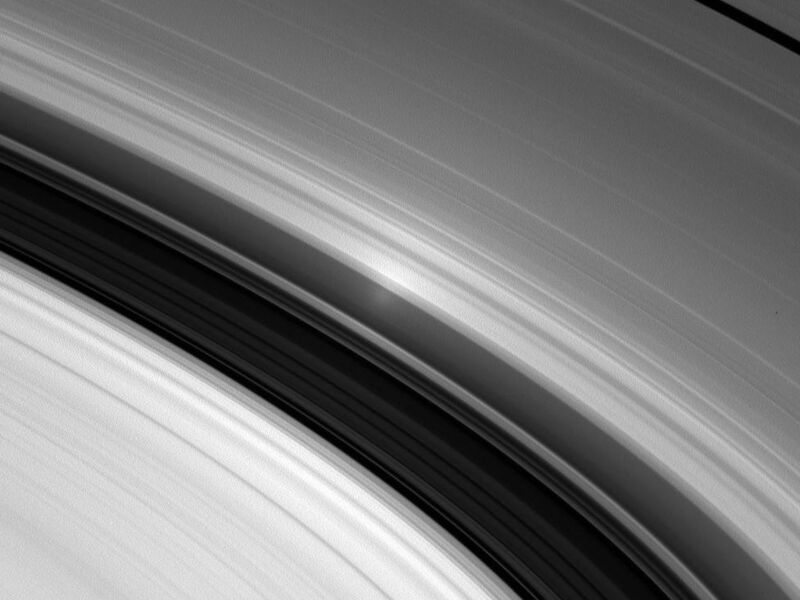 The opposition effect becomes visible from this special viewing geometry. See PIA08247 for a detailed description of the effect. 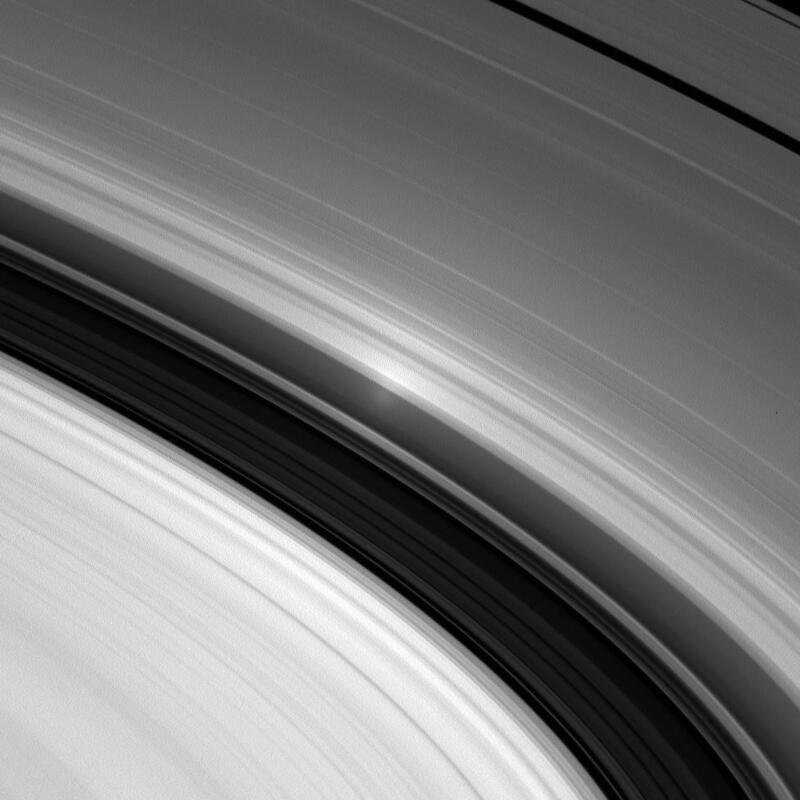 This view looks toward the rings from about 11 degrees below the ringplane. 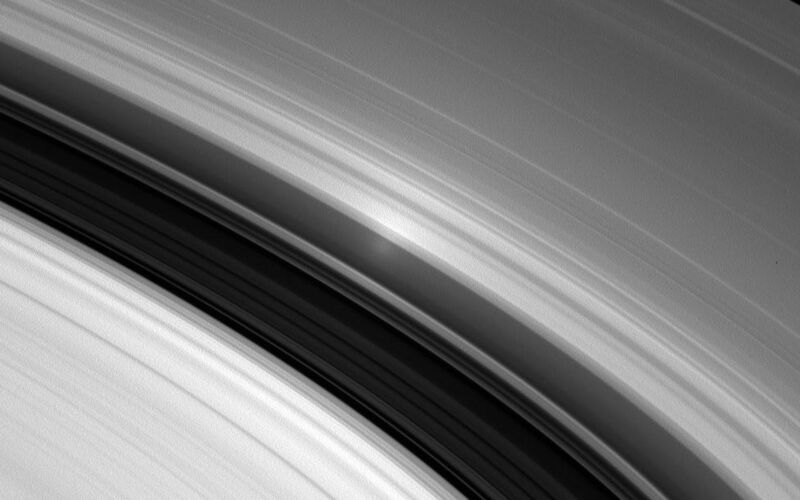 The image was taken in visible light with the Cassini spacecraft wide-angle camera on Dec. 2, 2006 at a distance of approximately 287,000 kilometers (178,000 miles) from Saturn. Image scale is 17 kilometers (11 miles) per pixel.